Saina Nehwal reached the quarter-finals of Hong Kong Open after defeating Japan's Sayaka Sato 18-21, 21-9, 16-21 in the second round. Saina will now face Hong Kong's Cheung Ngan Yi. Sindhu, who recently won her maiden Super Series Premier title, also stormed in the quarters after a win over Chinese Taipei's Hsu Ya Ching 21-10, 21-14. She will now take on Singapore's Xiaoyu Liang. The Hong Kong Super Series is an annual badminton tournament held in Hong Kong. First held in the year 1982, it became a part of Super Series in 2007. Former Indian badminton player Prakash Padukone was the first men's singles winner of the tournament. Saina Nehwal became the first Indian woman to win the women's title in 2010. The 2016 Hong Kong Open Super Series would take place from 22-27 November, with a total prize money of $400,000. Sameer Verma, HS Prannoy, B Sai Praneeth and Ajay Jayaram will represent India in the men's singles category. Manu Reddy and B Sumeeth Reddy will together contest in the men's doubles. Saina Nehwal along with PV Sindhu will participate in women's singles. B Sai Praneeth was knocked out of the tournament in the very first round by Denmark's Jan O Jorgensen 21-18, 21-18. In doubles, Indian pair of Attri-Reddy lost to South Korean pair of SolGyu Choi and Ko Sung Hyun in straight sets 21-15, 21-8. Sindhu to clash with Saina in semis? Indian fans will get to see an all-India semi-final in the women's single category. PV Sindhu and Saina Nehwal may play against each other in the semi-finals if they both win their respective quarter-final matches. It turned out to be a good day for Indian badminton, with two more players advancing to quarter-finals. Ajay Jayaram defeated Huang YX 21-18, 21-19 in the second match and will now face Hong Kong's Ng Ka Long in quarters. Sameer Verma won against Japan's K Sakai to win second round-match 21-19, 15-21, 11-21. He will be up against Chong W F of Malaysia. After winning the first set 21-15, HS Prannoy lost the next two sets 11-21, 15-21 against Malaysia's Chong W F in the second round of Hong Kong Open and was knocked out of the tournament. PV Sindhu defeated Singapore's Liang Xiaoyu to reach the semi-finals of the 2016 Hong Kong Open. Sindhu won 21-17, 23-21, 21-18 in a hard fought match. In other quarter-final match, Saina Nehwal was handed a defeat by Cheung Ngan Y. After losing first set 8-21, Saina came back to win second 21-18, but lost the third 19-21. PV Sindhu will be up against home favorite Cheung Ngan Y in the semi-finals match. Cheung had defeated Saina in her quarter-finals. 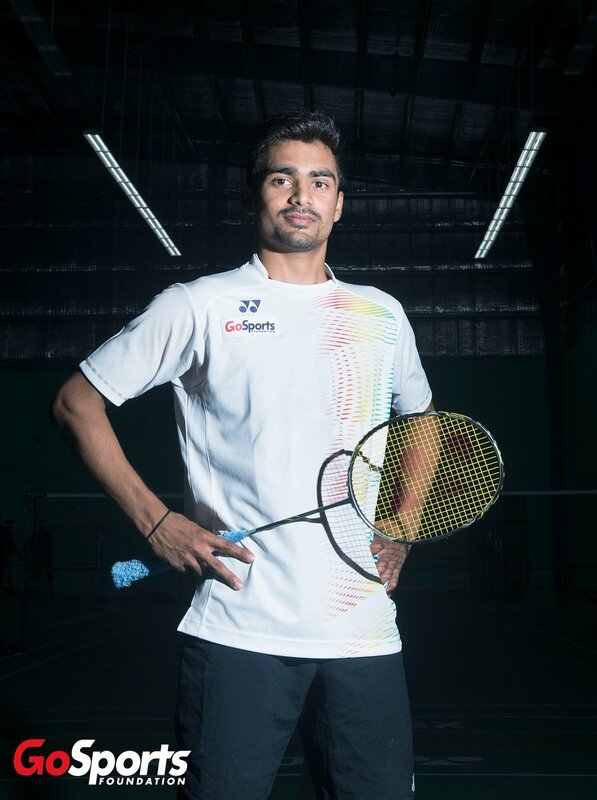 Sameer Verma got better of Malaysia's Chong Wei Feng 21-17, 23-21 in quarter-finals match to reach the semis of men's singles in the tournament. Sameer won the match in just 47 minutes. He will now face third ranked Jan Ø. Jørgensen of Denmark in semis. Meanwhile, Ajay Jayaram lost to Long Angus of Hong Kong 15-21, 14-21 and was knocked out of the tournament. It was a 'Super Saturday' for India's badminton after two shuttlers reached the finals of Hong Kong Super series. In men's singles, Sameer Verma stunned world number three Jan O Jorgensen 21-19, 24, 22 in just 45 minutes. PV Sindhu outplayed home favorite Cheung Ngan-yi 21-14, 21-16 to storm in the women's singles final. It is her second super series finals in two weeks. 2016 Rio Olympics silver medalist Pusarla Venkata Sindhu's winning run at Hong Kong Open was halted by Chinese Taipei's Tai Tzu Ying in the final match. Tai dominated Sindhu in both the sets and went on to win the match 21-15, 21-17. It was second Hong Kong Open Super Series title for 22-year old Tai Tzy Ying. She had earlier won in 2014. Sameer Verma was handed a defeat by local boy Ng Ka Long Angus in the finals of Hong Kong Open. After losing the first game 21-14, Sameer made a comeback and won the second game 21-10. Angus then dominated the third set to win the match 21-14, 10-21, 21-11. He became the first home player to win the tournament. Ravichandran Ashwin picked up another five-wicket haul to bundle out the English team on day three of the second test. India put the first points on the board in the Four Nations Invitational Tournament in Melbourne after registering win over Malaysia. The Indian women's hockey team defeated Australia 1-0 in the first test match of the three match series.